Summer is here! And as you ease on your lazy chair and sip on that ice cold drink, why not make things more fun with some awesome, new IOS apps? Here are our picks for the most useful apps for IOS this summer. Halide is a cutting-edge camera app for serious, thought-out photography. It uses high-end tools and enables beautiful details. This app will be your go-to camera when you want to really take a good photo instead of a quick snapshot. Halide is so easy to use that it’ll make you a pro picture taker. Use gestures to change exposure and manual focus. It also has focus peaking, adaptive level grid, and a detailed histogram. It’s pretty intuitive and only takes a few seconds to get something better than the default when the light is a bit weird or when you’re trying to focus on something wacky. People love making countdowns to hype up a big event, and there are lots of fun-filled events this summer. Why not count down in style for that beach party vacation, concert, wedding or graduation? With Countdown, you stay excited all day by looking at all your countdowns. You can personalize your countdowns with this app. It comes with pretty emojis along with your own background image. You can also choose from a gallery of hi-res stock images for your background. What’s more, you can share your countdowns with friends and family. They’ll know the name and date of the event and see your background image as well. Experience the story of Gettysburg with a multi-media, GPS-triggered tour of the battle! This is truly one of the most useful apps that include great videos, photos, interactive maps, and GPS-triggered audio that help bring back the Battle of Gettysburg. With it, you can learn more as you travel through the National Park’s tour route. The Gettysburg Tour Guide is so easy to use and guarantees a fun-filled experience for all ages. If you want to turn on the GPS triggered audio feature, press ‘Allow’ when the app asks to track your location. After the tour, you may simply turn off the GPS triggers in Settings. Truly a great game this summer, Gatecrasher allows you to control a ship with two buttons, one button rotates your ship clockwise, and the other rotates it the other way around. The mission is to navigate your ship through the gates without crashing them. Gatecrasher is guaranteed to get you hooked. After playing it for just 30 minutes, you’ll realize how much more awesome this game really is. The controls are absolutely perfect, letting you move around just enough to dodge the gates without a small tap that throws you halfway across the screen. It’s simple and fast-paced, and razor-sharp focus is required. 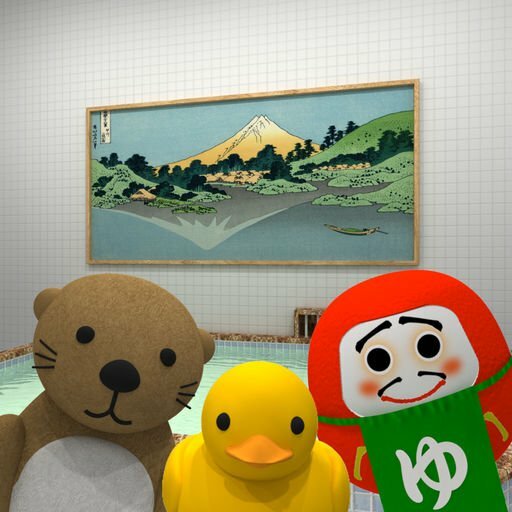 This fun and cute little escape game is set on public baths with pretty graphics. Each tap on your screen brings you to a certain scenario with a puzzle. Double tapping magnifies the items, and you can use them by tapping at other parts of the location. You can move around by tapping the arrow at the bottom of the screen. Escape Game – Public Bath may seem simple, but the puzzles can be quite challenging. In case you get stuck, you can get some hints by looking at the video ads. It’s perfectly doable with some logic and imagination. Best of all, it’s free! This third party tool for Tinder allows you to like many profiles in one click. You can also check out the pics of various users on one page, select and like them all with a single click. You can check a person’s full profile, basic info, last activity, and pics. Matcher for Tinder also lets you choose a certain location and check, like or match people in that location. It’s one of the most useful apps to quickly and easily match with multiple people at once. Now you don’t need to spend too much time checking and swiping profiles. This is the smart way of finding your match. Keeping track of your login details can be a pain. This great app allows you to log on to Snapchat, WhatsApp, Instagram, Facebook and any other app without a password. It gives the ultimate protection for your accounts. The SafeKey feature ensures peace of mind and protects your data from hackers. Setting it up is easy! You just need to enable full access to SafeKey. You’ll be required by Apple to also enable TouchID. The SafeKey keyboard will then scan your fingerprint by using TouchID in other apps. Once the data is encrypted, no one will have access to it except you.